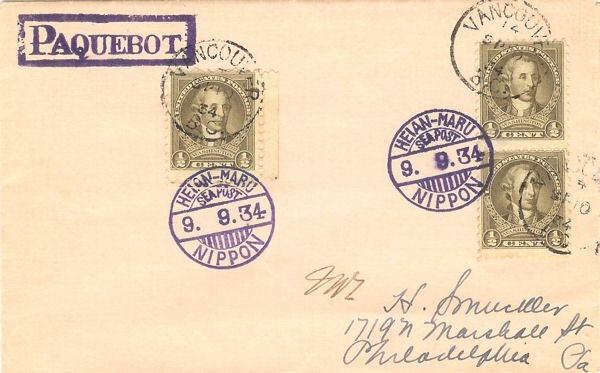 Japanese vessels first commenced using Sea Post Office cancellations in 1902 and continued until 1941 when they ceased due to the outbreak of hostilities between the USA and Japan in WWII. 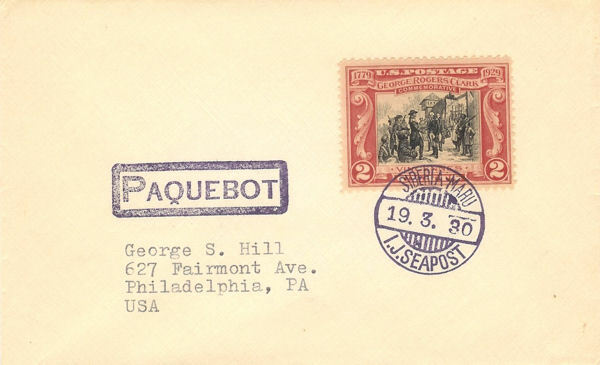 Paquebot marks were issued to vessels sailing not only from Yokohama to Seattle, and Japan to San Francisco via Honolulu, but also to vessels sailing from Japan to Europe. 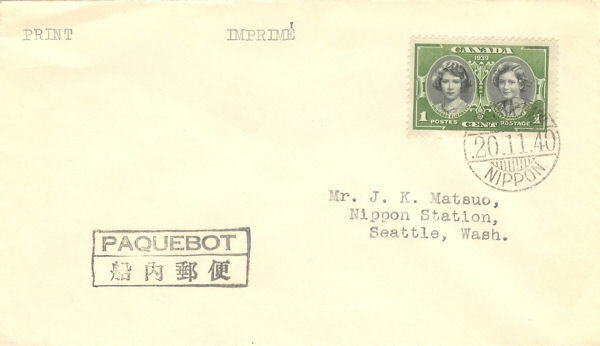 There are certain cancellations used on board vessels that are very similar to paquebot marks used on the mainland in Japan especially at Yokohama (the mark 3471D and 1 above is a prime example). Only by very careful examination can it be ascertained as to whether a cover is mainland or posted on board a vessel. Gustav Lund's "The Paquebot Marks of the Americas". The main Japanese Antarctic Support vessel Shirase carries a sea post office.